Don't forget to take a photo of your toy. A good one that shows the location of the drop with the toy and one a bit closer that shows the toy too. You can see examples on the blog. Please note we are unable to accommodate heaps of photos in each post so please select your best shots Get your drop ready for the blog. Your photos must be less than 1MB if possible, please. They must be in the correct orientation - ie no sideways photos please! Please do not include more than three photos (one is fine). 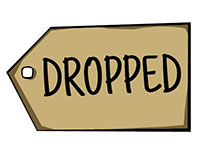 We will add your drop number when we post it to the blog. Please note this email address will change every couple of months. Be sure to check the blog for an announcement that we have sent a new address out. You will also receive an email advising of the new address. Until an admin can approve and publish it. Admins publish posts throughout the week, so please be patient. Please note though, that the spirit of this project is about giving without expecting something in return. You will be creating a wonderful serendipitous experience for a n unsuspecting stranger. THAT is your reward! 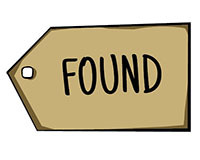 Hearing from a finder is the icing on the cake, so please don't be disappointed if you don't hear back straight away.